This Passover, the American Jewish Joint Distribution Committee (JDC) will continue its century-plus tradition of delivering matzah to needy Jews and supporting scores of Passover activities—Seder meals, cooking workshops, volunteer opportunities, and cultural performances — in the former Soviet Union and throughout Europe, JDC said on March 26. Ensuring the poorest Jews in the world can celebrate the Jewish festival of freedom, 20 tons of matzah will be distributed to tens of thousands of elderly Jews living in Ukraine, Belarus, Moldova, and Russia, JDC said. This effort is possible through JDC’s partnerships with the Claims Conference, Jewish Federations, and the IFCJ Food and Medicine Lifeline, JDC’s operational partnership with the International Fellowship of Christians and Jews (IFCJ). “Beyond the boxes of matzah, community celebrations, and critical aid we are providing for Passover this year, it is the holiday’s message of hope that underscores all we do,” JDC CEO David M. Schizer said. “That hope has been the connection that binds us all to the poor Jew in Moldova who has no one else to care for her, to the young person discovering his Jewish roots in Warsaw, and to the family embracing timeless traditions in Mumbai. “As we gather with our families and communities to celebrate the seder meal, let’s start a new tradition and recount the remarkable stories of these Jews, whose future is brighter because of the hope we deliver every day,” Schizer said. For Deena M., a 76-year-old now living in Odessa after fleeing war-torn Lugansk with her elderly husband, Passover is a time where she feels compelled to help other Jews in need. Although she suffers multiple health issues and receives assistance with food, medication, and a rental subsidy from JDC’s Hesed social welfare center in Odessa, Deena gives back to her newly adopted community. She has participated in volunteer efforts to distribute matzah twice a week to vulnerable Jews in the region. Deena is one of hundreds of multigenerational volunteers who will deliver holiday packages and visit homebound elderly as part of JDC’s annual Passover celebrations in post-Soviet states. 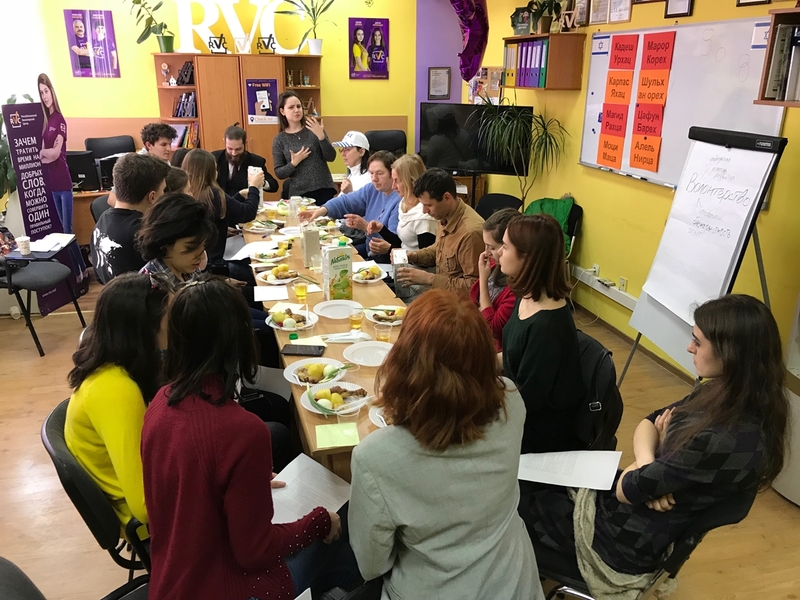 In Kharkov and Kyiv, festive Seders will be held for at-risk populations including children, families, and the elderly at local JDC-supported Hesed social welfare centres. Handmade gifts will be distributed to bedridden and lonely seniors through volunteer visits, including members of JDC’s Active Jewish Teens youth movement. Cooking competitions, Passover themed lectures, as well as a photo exhibit called “Haggadah and the Attributes of Pesach” are also planned. In Almaty, Kazakhstan, youth and young families will learn how to prepare a house for Passover, and in St. Petersburg, Russia, Passover-themed art seminars, a comedic performance, and concert are scheduled. In Poland, where JDC has been central to the revival of Jewish life, Passover cooking classes at the Warsaw Jewish Community Center (JCC), community Seders, and a Passover caravan traveling around the country to educate isolated Jewish communities on Passover traditions are underway. In Budapest, at the JDC-supported Balint House JCC, nearly 100 families will attend a special Seder focusing on learning and transmitting holiday traditions through the generations. In Tallinn and Riga, the JDC-supported JCCs hold a series of multigenerational Seder meals. In Romania, community Seders will also commence countrywide, and in Bucharest, a large Seder at the Grand Synagogue will draw in 250 people. In Sofia, Bulgaria, a haggadah-making workshop, creating the traditional booklet Jews use at the Seder meal, will occur. In India, JDC will provide matzah and wine for multiple community-wide Seders. Attended by more than 200 Indian Jewish community members, they will be led by Elijah Jacob, JDC’s India director. In Egypt, where JDC has been supporting the small Jewish community since the 1950s, JDC will provide nearly 90 pounds of matzah, and other holiday fare, in partnership with the community for elderly Jews in need.